A handful of companies are making sure that music lovers have access to the records they want—and the ones they don't know they want. 2017 proved to be a watershed moment for the music industry, which can’t seem to go a decade without one. A report from BuzzAngle found that a whopping 377 billion songs and albums were streamed, a 50% increase overall, and that downloads fell dramatically. If people seem less and less interested in actually buying and owning the music they listen to, one of the small saviors has been the continued increase in vinyl sales. As Billboard and Nielsen Music reported, more than 14 million records were sold in 2017, a 9% increase that accounted for almost a quarter of all physical music sales. Plenty of factors are driving the renaissance of what was once considered a dying medium, like turntables popping up for sale at Bed, Bath & Beyond and LPs hitting the shelves at Barnes & Noble and Urban Outfitters. One small but important driver has been the rise of vinyl subscription services, online outlets like Vinyl Me, Please and Vnyl that send members one or more albums each month for a fee. The appeal of these services isn’t hard to grasp. For folks looking to amass a vinyl collection for the first time, it removes a lot of the guesswork about what titles to pick up. And for already addicted music junkies, it’s a good way to keep up with new artists and get reissues of older titles. 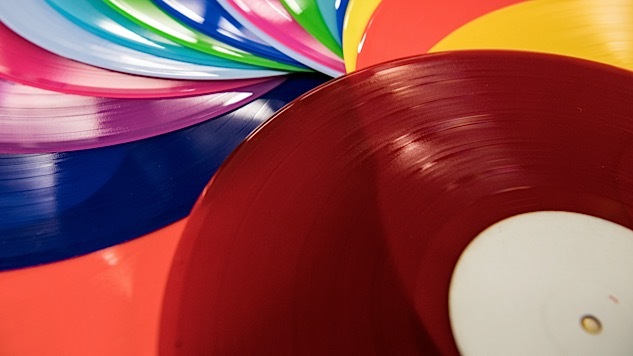 The added bonus (other than the superior sound that vinyl has always offered): These special subscription versions are often pressed on colored wax you can’t get anywhere else. That’s reflected in the records that Vinyl Me, Please has offered to subscribers (not to mention the ones it recommends on its web site). With some notable exceptions, the majority are wide-ranging, widescreen albums such as Gorillaz’ breakthrough Demon Days, or recordings that contain subtleties often revealed only upon close listening, like Sorcerer, Miles Davis’s 1967 masterpiece, or the post-rock supernova that is Explosions in the Sky’s The Earth Is Not a Cold Dead Place. To aid in the contemplation, Vinyl Me Please also includes a cocktail recipe with each release. As the company has grown, so has its ability to put ever more vinyl in people’s hands. After Vinyl Me, Please had been rolling for about two years, some subscribers started leaving comments wondering if they could get additional records included with their order. 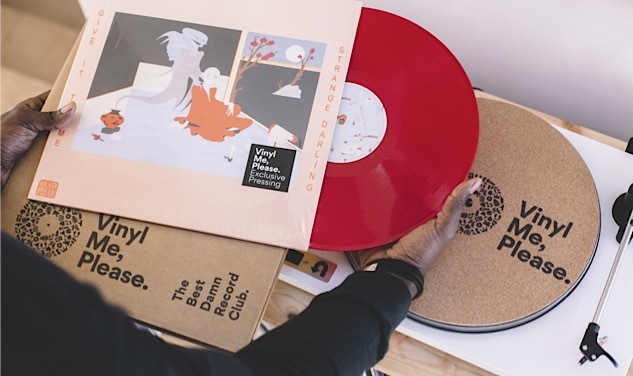 Gradually, VMP began offering genre-focused subscription options, including one for rap and hip-hop and another for soul, blues and jazz lovers. Right now, those are only available to current members, but Schaefer says they’ll be open to the public in a few months. Those new options reveal the slight flaw in VMP’s system: the assumption that each subscriber has the same tastes that the company’s curators do. There is the option to swap the monthly record for a different title, but even then the selection of replacements lacks a sense of adventure. That’s where Vnyl and one of the new kids on the block, Table-Turned, might have the upper hand. Both allow users to shape their subscriptions more to their tastes and add a little mystery to the mix. In the case of the former, members link their accounts to their Spotify favorites and Instagram feeds and choose a “vibe” every month. The folks at Vnyl then pick out three records to match. They’ve been successful on that front so far. Table-Turned post-rock selections include well-known names like Do Make Say Think and Pelican alongside more underground artists like Shy, Low and Sonna. Table-Turned may not dip into foundational albums of yore (yet), but the reach is impressive considering the entire operation, from curating to packing orders, is handled by Erbach and his wife Emily on evenings and weekends. Looking back at the history of the record industry, none of these are necessarily groundbreaking ideas. Many music lovers remember getting new CDs every month from services like BMG and Columbia House. And many labels, big and small, have asked their fans to help defray the costs of releasing new music by having them sign up for a subscriber’s club of one kind or another. That model is being used today by Stones Throw and Mississippi Records, who allow their fans to buy in on forthcoming releases sight unseen. Or there’s a more high-end version as offered by labels like Newvelle Records. Since 2016, this jazz imprint has been releasing new work by artists from around the world to subscribers on beautifully designed vinyl. Being a musician himself, his aim was also to give the artists with whom he works a chance to make whatever kind of album they want and not tie them down to a long-term contract. 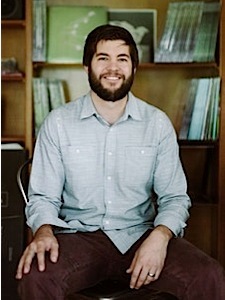 Newvelle holds the rights to the music for two years, at which point it reverts back to the artist, leaving them free to re-release it on CD or digitally. It’s an attractive model for the high-profile artists Mehler has brought on board. One of Newvelle’s first releases was a rare solo piano recording by jazz legend Jack DeJohnette. The label has also funded sessions for bassist John Patitucci, Cuban pianist Aruán Ortiz and the Frank Kimbrough Quintet. Each record comes with beautiful artwork and bits of poetry, all curated by Mehler. What Newvelle may have over the other subscription services is the high-end quality of product and the fact that most jazz fans are already proponents of physical media. How long companies like Vinyl Me, Please and Table-Turned can sustain their models as tastes and demand change will provide the real proof of whether vinyl sales will continue to rise or whether the medium will get pushed aside as it did during the CD boom. For the moment, these companies just want to make a mark.